Test Valley Windows offer quality products and service at honest and competitive prices. You will be given our best price, first time for the high-quality product and finish we offer. We do not offer price matching, buy one get one free or start at a high price and work our way down until you buy. We have a strict no pressure sales policy, is a Which? Trusted Trader, FENSA registered and have MTC qualified installers and surveyors. Just fill out and send the enquiry form below. 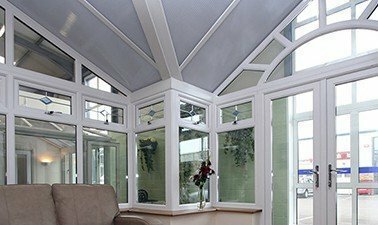 Our spacious showroom in Andover is the perfect place to browse the many options of the finest quality windows, doors and conservatories. Our friendly ‘no pressure’ staff offer help and advice to help find the best solution for your home or commercial premises. Sales appointments for quotations are still available through the festive period. Please fill out the contact sheet or call our 24-hour answer service and we will arrange an appointment for a free quotation.